Buhari flew in on Saturday after over 100 days in the UK on medical vacation. Fayose’s Chief Press Secretary, Idowu Adelusi, told newsmen that the statement was not made by the Governor. “Mr. 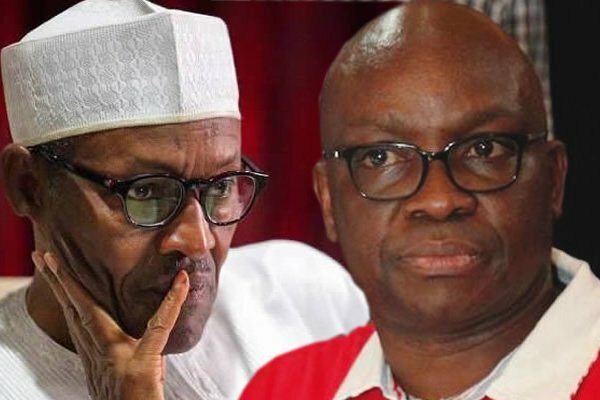 Fayose never said he would commit suicide if the President returns to the country. “It is the creation of the APC. It is their style to create such falsehood,”‎ he insisted. There had been reports that the Governor said: “I will commit suicide if Buhari comes back alive”.